passed away on Thursday, April 4, 2019 at his home. He was born March 30, 1927 in Oakmont, PA, the son of the late William F. Robinson and Annabelle (Shaner) Robinson. He was a 1945 graduate of Blairsville High School. He then attended Penn State & Westminster Colleges. Bob was a US Navy Veteran having served during World War II. He had worked for Pennsylvania Railroad, Blairsville Westinghouse and was self-employed as the owner & manufacturing representative of the W.R. Robinson Company. He attended the United Presbyterian Church, Blairsville and the Trinity Presbyterian Church, Clarksburg where he loved to sing in the choirs. 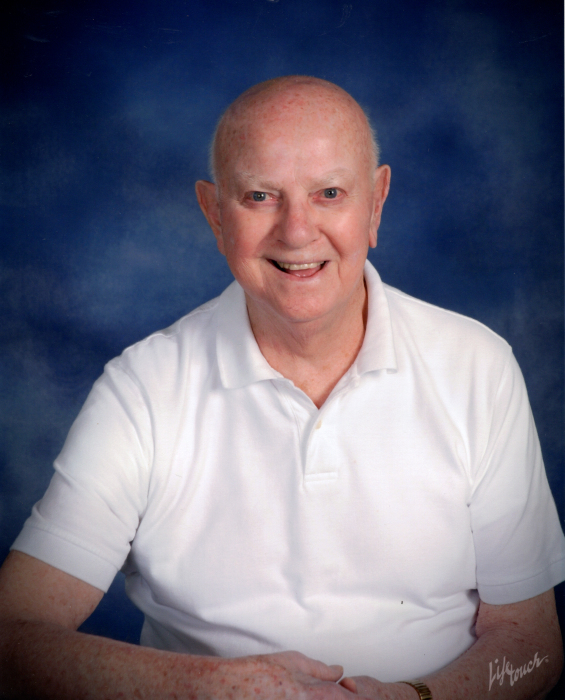 Bob was an avid sports enthusiast, having loved all Indiana County Sports and he was a member of the Chain Gang at IUP Football for 35 years. He was a member of the Blairsville Community Concert Band where he played the drums. He is survived by his wife of 34 years, Ann (Stadtmiller) Robinson, Blairsville, PA; son, Robert A. Robinson, Tucson, AZ; daughter, Ruth R. Sulkosky and husband, George, Blairsville, PA; daughter, Judy R. Cavalancia and husband, Jeff, Indiana, PA; son, Jay H. Robinson and wife, Corinna, Round Top, TX; stepdaughters: Paula Griffith, Carol Griffith and Pam Yenchik; grandchildren: Anton Sulkosky, Angela J. Shoop, Roman Sulkosky, James Cavalancia, Carmen Buggey, Desiree Cavalancia, Dakota Robinson, Ryder Robinson, Dusti Robinson, Kyle Yenchik, Elaina Dettorre and Halley Yenchik and great grandchildren: Benjamin, Ethan, Simon, Isaac, Lucas, and Kian. He was preceded in death by his sisters: Vivian, Jean & Ruth and infant brother, Harold. In keeping with Bob's wishes, there will be no visitation. Private services will be held for the family. If so desired, memorial donations may be made In Bob's name to the Blairsville Community Concert Band, c/o Pam Long, 82 Hazel St., Blairsville, PA 15717.